Even with an added Parmesan rind, the soup didn't cook long enough for the broth to develop much flavour, and between the oil used to cook the onions (I reduced it to 1 tbsp) and the fat in the (extra lean) ground beef, it was just too greasy for me. Though most of the vegetables weren't particularly spring-like and I substituted broccoli for the the only one that was, this was a very tasty variation of the classic dish thanks to the step that has you caramelize the vegetables. 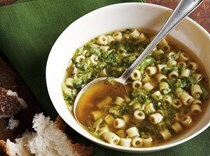 I used only 1 tbsp butter and replaced half the cream with vegetable broth - it was less rich but still very flavourful. 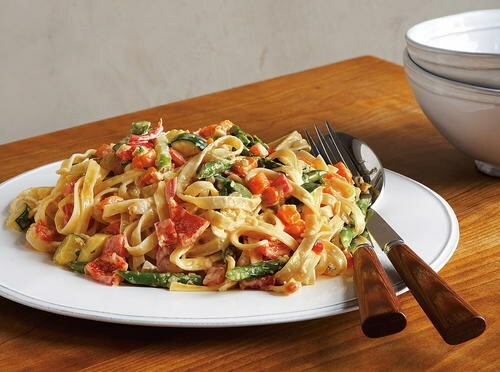 This is a solid, and tasty, version of primavera—though with all the dicing of vegetables and satueeing/cooking steps I daresay it really isn't a 30-minute meal to prepare. Do be careful to not overcook all the vegetables — while the carrots and onions benefit from the caramelization, I cook the asparagus for less time if young and tender, or else they'll be mush. I substitute whole milk for heavy cream and it's still very rich and tasty. Made as written and, sadly, meh. Not a keeper. This is just "ok", a bit bland without the addition of some other fresh herbs, stock or some cheese. I've made it twice with similar results, this time jazzing it up at the end with a little bit of pesto. Another delicious quick-cooked pasta dish from this author, this one flavoured with caramelized onions and zucchini, and fresh herbs. I used only half the oil. I've reduced the relative amount of pasta to 12ozs, and I don't chop the parsley, but I really like this. A favorite quick meal. Really nice, simple but satisfying dinner to make on a busy night. I used whole milk instead of cream and added a little fresh mushroom along with the asparagus. Would make again no question. This was decent, but not my favorite cauliflower pasta recipe I've made. Was still a bit bland and needed a lot of salt and cheese to kick up the flavor, and I felt it needed some fresh green herbs or perhaps crunchy breadcrumbs to liven up the texture and taste. The Hazan family: the great saviours of the midweek dinner! Heroic. This made for a tasty, easy, and (relatively) quick mid-week pasta dish. I did think the shiitakes were a bit strong for this dish and I would have preferred a milder mushroom. My pancetta was fatty and needed more cooking time than specified - next time I would probably throw it in with the onions. I took some time back by using about 3/4 cup of crushed tomatoes (what I had on hand) instead of the grape tomatoes. Super-easy, fast and tasty. Great for a weeknight when you've got limited ingredients on hand and need a flavorful meal quick. This was bland and the thyme was indiscernible. It was much better after adding dried red pepper flakes. Delicious with great depth of flavour thanks to the dried porcini and it came together quickly - more quickly than I expected and than the instructions stated so I'll start my pasta sooner next time. This was really good. The fresh tomatoes and basil keep it really fresh tasting- though because of the water content of my tomatoes, I needed significantly more time to cook the sauce than specified. (Probably 30 minutes more.) I used chicken sausages, about a pound to stretch the meal further. There is no shortage of pasta books in the marketplace and it is not clear that this book falls into the top tier of those available particularly when it is priced as a premium product (ebook). Nothing satisfies quite like pasta—particularly when the recipe comes from master teacher Giuliano Hazan. ...you'll find tempting options and plenty of pointers to help you achieve delicious results. Hazan’s craft as a teacher has enabled him to structure the preparation tasks so as to make the most of your 30 minutes of cooking time. As simple as this dish is it is purely delicious. Eggplant and fresh tomatoes sauteed with onions and garlic mixed with fresh basil and tossed with spaghettini. Pasta and seafood. Perfect! I made the whole recipe because I was making it for a sick friend. And she loves seafood, especially shrimp, as much as I do. We both pronounced it delicious. The perch held up nicely with the initial cooking but reheating left overs...meant the lighter fish fell apart more. But it was mighy tasty. Mighty Tasty!! It is the perfect side dish for just about anything. The flavors are mild so it won’t overpower whatever you serve it with. 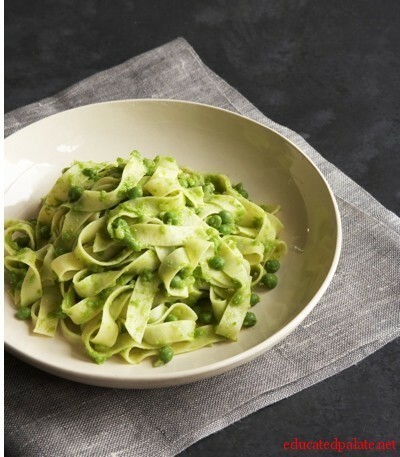 Now that America's low-carb obsession is over, home cooks are once again looking to prepare well-balanced meals that include everyone's favorite food - pasta. Few of us, though, have the leisure to create a classic Bolognese meat sauce from scratch. 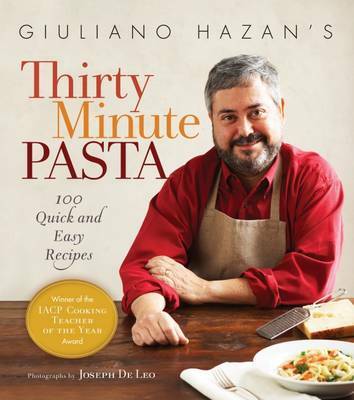 For those who are as pressed for time as they are starved for a toothsome bowl of beautifully sauced pasta, Giuliano Hazan has created 100 scrumptious pasta dishes that can be put together in half an hour or less. Hazan's repertoire - hearty pasta soups, fresh-from-the-greenmarket vegetarian dishes, and meat and seafood sauces that take their cue from the classics of Italian cuisine - will let you bring healthful, hunger-satisfying pasta back to your family's weeknight-supper table. 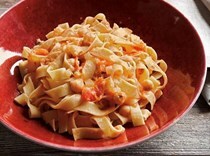 Included are recipes for last-minute dishes, as well as useful advice on stocking your pasta pantry, choosing cooking equipment, and figuring out which pasta shape goes with which kind of sauce.